Known by many names such as ‘The land of Golden Threads’, the ‘Manchester of Assam’ the ‘Silk Village of Northeast’, Sualkuchi is a unique village in Assam where 90% of the population are expert weavers known for the wonders of weaving twinkling stars from the sky so efficiently that laurels pouring on these weavers have not stopped since days immemorial. Kautilya in his book Arthashastra mentions Sualkuchi as “golden land” because of the colour in the clothes woven by the folks of Sualkuchi. He has also written that there was a principality named Suvarnakudya, (present day Sualkuchi) in ancient Kamrup famous for its silk industry. Sualkuchi, an Assamese village of weavers is situated on the banks of mighty Brahmaputra. 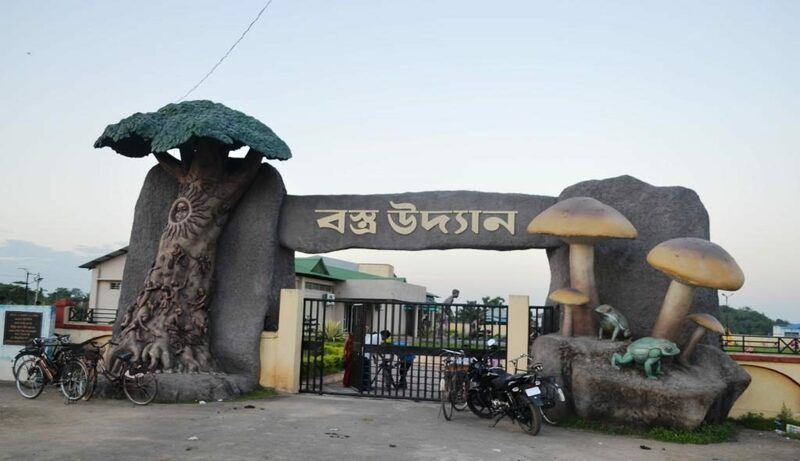 It stands on the North bank of the Brahmaputra, 32 Km west of Guwahati. As per 2001 census it provides residence to 21, 252 local people ‘excluding the migrants i.e. migrant weavers and other labours. The 1951 census had, classed it as a “very large” village with a population of 7598 out of which only 487persons (6.40%) were dependent on agriculture. Walking down the lanes of Sualkuchi one’s soul would certainly get filled by the soft and rhythmic dhak-dhuk of the shuttle flying across the frame looms found in every home. Since, time immemorial the folk of Sualkuchi are engaged in the art of weaving and even today in the twenty first century where everything is fast changing with the advancement of technology, the methods adopted for weaving are almost same but the weavers have become more adept to the art. An attractive feature of weaving at Sualkuchi is engagement of the whole family into the profession. The weavers mostly do not have any institutional background in handloom weaving. They learn the art of weaving from their parents with regular practice. Weaving has become the prime source of income generation for both farmer weavers and only weavers. The Ahom reign brought vast progress in the handloom sector of Sualkuchi. But the same could not happen during the British regime in India. Instead, tax was made applicable on using of Som and Soalu trees for rearing of Muga cocoons. The inhabitants of Sualkuchi even with such constraints carried on their duties related to handloom industry. Till pre-independence period Sualkuchi had faced difficulties in running the handloom industry. 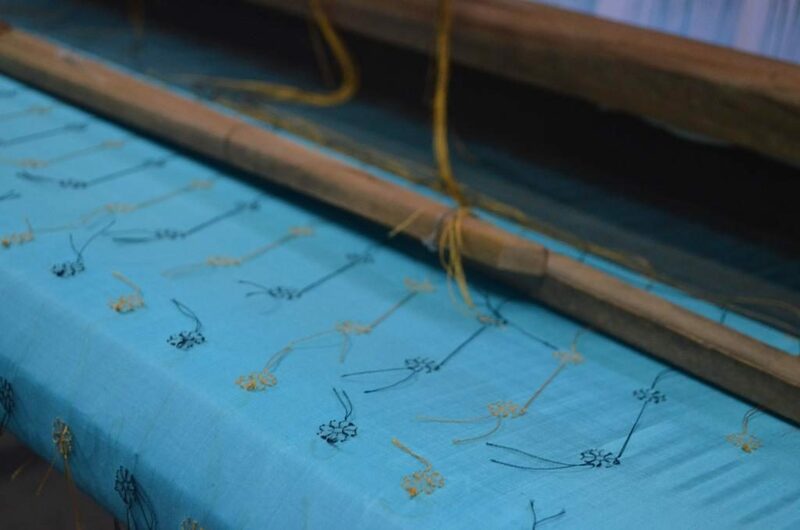 Having a long tradition of silk weaving at least since the 17th century, Sualkuchi is the prime centre of the silk hand-loom industry of Assam. Although the weaving industry of Sualkuchi remained almost confined within the Tanti Community of Tantipara up-to the 1930, later people belonging to other communities also started to take up silk weaving gradually. 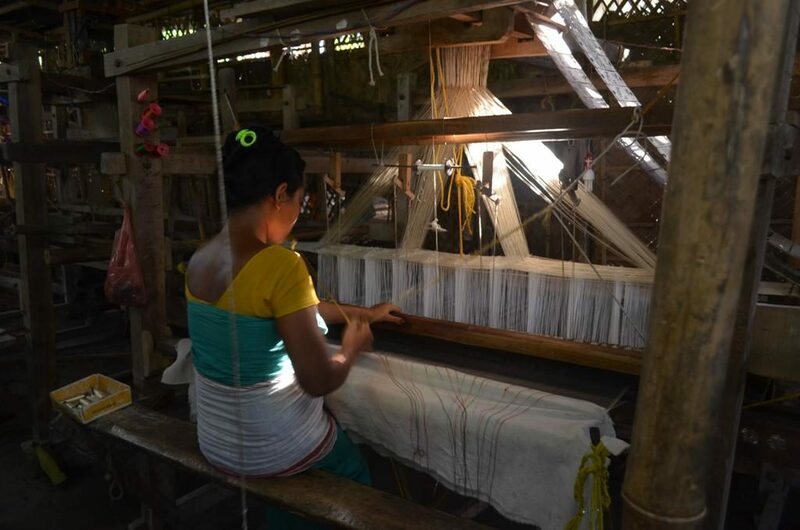 Now, even the fishermen of the Koibortapara hamlet of Bamun-Sualkuchi and the Brahmin families have also given up their ascriptive caste occupations to a larger extent and they have taken up silk weaving as the main source of income. The weaving industry of Sualkuchi received a big boost during the Second World War. The growing demand for fabrics and their increasing prices, encouraged a few Tanti families to introduce weaving commercially and they started weaving factories engaging hired wage weavers. 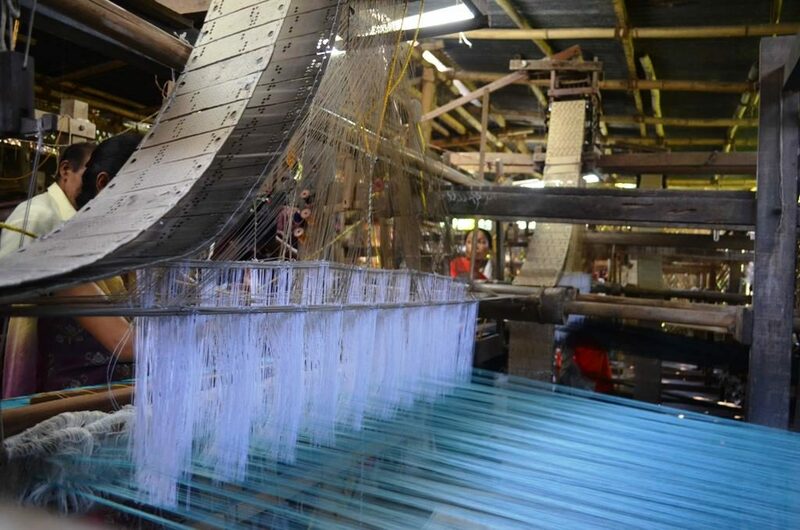 Today, the factory system with semi-automatic Fly shuttle handloom has already been extended to entire Sualkuchi and 73.78% of the households of the town are being engaged with commercial weaving of hand-loom. The Census of Hand-looms in Sualkuchi conducted in 2002 reveals that Sualkuchi has 13752 active commercial hand-looms, of which 54.75% are performed by the woman weavers, who are basically hired from the outside of Sualkuchi. Although the hired wage weavers were originally the local poor from the Bamun-Sualkuchi area of the east and Bhatipara hamlet of the west, a flow of migrated wage weavers from different parts of Assam has emerged gradually since eighties of the last century and presently migrant weavers are dominating the wage weavers of the town. The Hand-loom industry of Sualkuchi encompasses cotton textile, silk textile as well as Khadi cloth which are, in fact, traditional cloth endowing high social and moral value in and outside the state. However, Sualkuchi is well known for silk textiles both mulberry and muga silk. In fact muga, “the golden fibre” is produced only in Assam and it has also tremendous export potentiality. Such activities are intimately linked with the culture and tradition of the Assamese people since long past.